Knock those headaches out fast with Pain Potion! 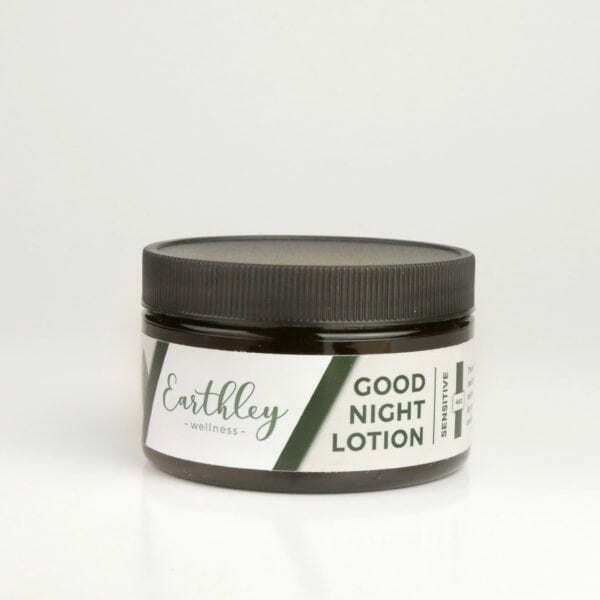 It’s a blend of organic herbs and alcohol that helps to relieve pain so you feel better, naturally! We couldn’t resist — Pain Potion! How fun is that name? What’s in it, and why does it work? Pain Potion has a few different helpful herbs. We start with meadowsweet, which helps to relieve pain. It’s actually one of the best pain-relieving herbs that we have. Then, we add turmeric root (anti-inflammatory), peppermint (cooling), mullein (one of our favorites, because it has so many uses, especially for respiratory congestion) and dandelion root (supports detox). How awesome is that?! A “potion” that calms inflammation, relieves pain, cools you off, and supports detox. Our team agrees that it’s pretty great, and they’ve tested it well! This works best for the occasional tension headache or migraine, or other mild pain. If you’re dealing with a sinus headache, try Sinus Saver instead! Organic meadowsweet, organic dandelion root, organic mullein leaf, organic peppermint leaf, organic turmeric root, organic cane alcohol, and filtered water. Mix into juice or tea to make it easier to take, if desired. Shelf Life: 2 years. No known contraindications with these herbs in pregnancy, while breastfeeding, or in children over 6. Talk to a health professional if you have any concerns before use. Best not to use before age 6. Meadowsweet contains salicylates, similar to aspirin, and could cause Reye’s syndrome (although there are no reports of meadowsweet ever causing Reye’s syndrome and it has historically been used with children). I suffer from headaches often, usually I take a few aspirin and then again in 4 hours I’m having to take more. I wanted to give this a try as a safer alternative. Besides the taste (I have to mix it with some flavored drink) it works really well. I bought this for my mom and brother to try. She has severe arthritis in hips, feet, & hands. He has a bad back from his time in military service. Both are on strong meds from doctor. Both are still in daily pain and hard time sleeping from it. Using this in addition, made a notable difference in their pain level! With no icky side effects! Excellent! This is the only natural product that actually makes my headaches go away! I no longer have to take ibuprofen… SO amazing!! Because it works so well for me, I encouraged my mother to try it to see if it would help with her horrible hip pain. She now keeps this on hand since it really diminishes the pain for her. i think this product is effective. It is the most natural thing i have tried. Natural is always better happy to know all the ingredients. I purchased this product to use postpartum, unsure whether I would be having a repeat Cesarean or VBAC, but knowing I did not want to take Motrin (as I did with my previous C-sections) if I could help it. I had a successful VBAC, and I am really noticing a difference in taking the edge off my pain with Pain Potion. Thankfully, I don’t have as much pain to deal with as I did with the C-sections, but the cramping and pain from perineal tearing have been well managed by the Pain Potion. Husband tried it for his headaches and it definitely helped! Taste is so gross, can’t handle it even with Mixing it with juice and it didn’t really work for me. I wish it was sweeter and worked better. Could they look into this? I love the taste for the nourish her so many something like that? I also like the liquid form. This product is great. I use it for myself and my family when we have headaches. Its very effective. Thank you so much! Lifesaver! My 9 year old has battled migraines since he was 3, and we have never found anything that touches them except for Motrin, which I HATE having to give to him. I have tried oils, other natural remedies, anything I think may help, and always have to resort to Motrin. I figured this was worth a try, and I’m thrilled to say that we haven’t had to give him Motrin since we bought it! He still needs to lay down with a cold cloth on his head in a dark room, but Pain Potion will kick it. I take it with us everywhere we go just in case anyone gets a headache. This stuff is a miracle! Still undecided on this…I think it works some, but not completely. Maybe I just need to repeat the dose. I get tension headaches the first day of my period each month and was hoping this would help. As I said, it worked some but not enough to get through a homeschooling day without also taking ibuprophen. I’ve tried at home massage for the tight muscles and it seems to loosen the muscles but actually makes the headache worse. I love the natural ingredients, but it has yet to get rid of my headaches the few times I tried it. I always ended up taking a tylenol and hour or two later, because nothing changed after taking it. I really don’t want to take tylenol, but it’s tough to get through a day homeschooling 7 children with a headache. My daughter encouraged me to try this for my hip pain and now I don’t ever want to be without it! I also occasionally get debilitating headaches and this nipped it in the bud and I was able to go on and have a productive day! If I take this as soon as I feel a headache coming on – as you recommend, it has worked for me, but if I wait too long, it has not worked very well. I suffer from migraines and when I feel one coming on I take this and usually it wards it off entirely or at least enough that it doesn’t go full blown and make me sick. Also use it for occasional back aches and it kicks in quickly! I don’t let my “medicine” cabinet be without it! I haven’t used ibuprofen or Tylenol since I got this. My go to for pain relief. Nothing has ever really gotten rid of my frequent headaches and migraines. I have had such success using Pain Potion at the first sign of pain and use it a few times right away to knock out every one I’ve had pretty fast. Life saver. Permanent spot in my first aid cabinet. Just what I’ve needed for head aches, back aches and other various pains. We follow the recommendations to a T and it has worked perfectly – no OTC meds needed here! I get headaches- too many headaches! This “potion” cuts them back drastically. Often times, I don’t even need to take any additional medicine, even though this alone doesn’t always make it go away completely. Quick and effective. I loved it although my husband said it upset his stomach. Overall, I really like it. It has diminished the majority of the headaches I have. Sometimes the headache is still barely there in the background, but it becomes easy to return to regular work of the day and any remnant of headache just fades to the background. I unwilling to take OTC meds for headaches, so this is great to have for when I do get a headache! Every few months, I get a migraine that I used to treat with caffeine and advil, but the Pain Potion has been a welcome replacement. It doesn’t completely eliminate the pain, but it significantly reduces it. For some minor headaches, it completely relieves the pain within 15-20 minutes. This does work! The key is taking it as soon as you feel a headache coming on. I have chronic low back issues and this is a god send. It takes away my pain enough to go about my day and take care of my kids- driving, homeschool, etc. A definite must for your ‘medicine’ cabinet! I, like many other reviewers, use this for bad headaches and migraines. I find that one dose helps take the edge off but can take a while to work but 2 doses usually helps quiet a bit. My mother has commandeered my bottle of it as she says it really helps with her pain and head aches but again needs multiple doses. Overal I’m very happy with this as its got no sode effects, is safe to take multiple doses and actually does work. I have a history of severe headaches both migraine and cluster. I purchased this product recently and really was unsure of its efficacy with my incredible headaches. I was traveling with this product and away from oxygen that I take for headaches at my home when I felt a headache begin to happen. I reached for this and took it in water. No more headache. I’ll be buying more and I won’t leave home without it. To be completely transparent, I simultaneously applied frankincense essential oil over the headache’s physical area too. But, the synergistic effect was huge relief. Thanks Earthley! This stuff worked great when my husband had a headache. He wanted to take regular pain relievers but I convinced him to try the Pain Potion instead and it worked! I have been converting our medicine cabinet to natural remedies and I am so happy to have found this one. I had a severe sinus headache and this potion worked great to ease the pain. I would definitely recommend purchasing this product. I was pretty skeptical about this product. I suffer from several Chronic Illnesses and migraines. I tried this and it truly helped. Now, I take this at the first sign of pain. My husband loves it too. I’ve had lots of headaches this pregnancy so I’m very thankful to finally be able to put down the poison Tylenol & have a better option. Sometimes it does take multiple doses but the fact it works is worth it. Mix it with a little bit of water, making it a easy swallow. Talk about goodbye headaches!! FINALLY a natural remedy that WORKS! Love having a safe option for headaches during pregnancy! A dose or two & im good to go! I have tried many things to help naturally with headaches. 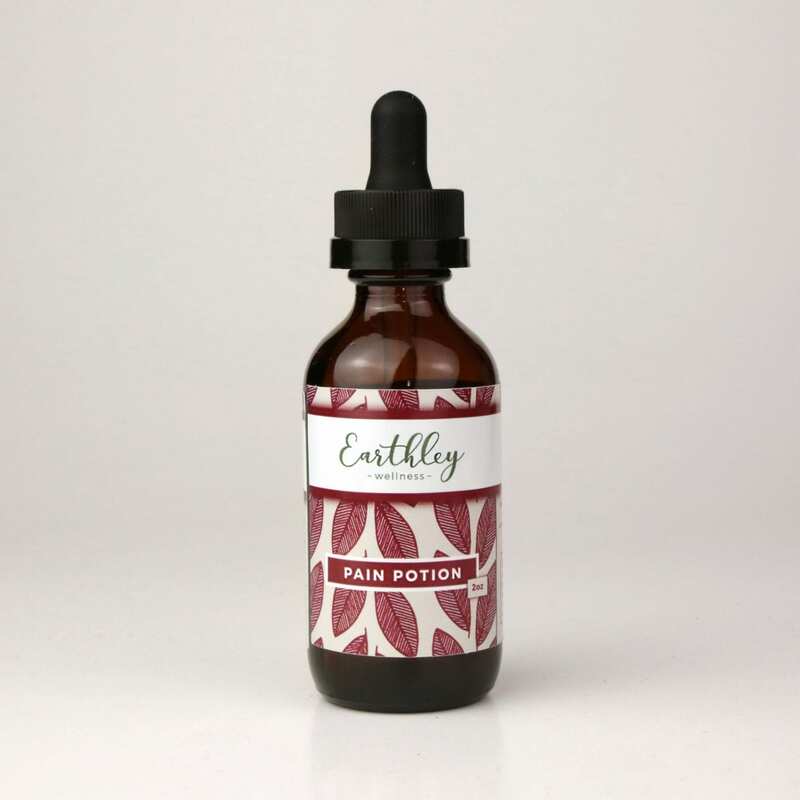 I usually get them from weather changes and lack of sleep – so while nursing I haven’t been able to find some relief from peppermint oil – but this pain potion does the trick!!!! It’s fast and I feel so much better than having to take ibuprofen! I have been in pain for 18 years. I hate taking motrin/advil … And missed times it didn’t work. But I bought this thinking…. Give it a try. I also get migraines so I figured no harm no foul. Well the day I got if in the mail I tried it… My joints were hurting because of the weather… Well you my surprise after taking it… I was PAIN FREE, for the first time in over 15 years!!! This is my replacement for Tylenol and Motrin works great! I’ve had migraines and chronic headaches for 24 years. I started using this about 7 months ago at the beginning of my first pregnancy when headaches increased. The headaches that also have a lot of neck tension went away within 10 minutes! This is if I catch it right away. If I don’t catch it in the first 30 minutes it doesn’t seem to have much of an effect. I originally purchased this to help with my occasional headaches. My husband tried it for bad chronic ankle and knee pain, and he loves it! He can tell a huge difference in his pain levels, and since he is on his feet all day, it helps tremendously! It reduces my husband’s occasional headaches, but not as much as mainstream pain relievers do. I wish there were something a bit stronger. I use this occasionally for headaches, but mostly for my joints. If I take it right away in the morning, my joint pain is 90% better during the day. If I forget to take it, I can barely walk by the time I get home from work. It’s got a fairly strong taste, but it’s so worth it! This stuff is amazing! Nothing takes my headaches away like this does. If I use it in conjunction with essential oils my headache disappears almost immediately! With fibromyalgia, i often have pain in various places around my body. This helps reduce the pain so i can feel more normal. I ordered the pain potion when I found out I was pregnant. I get migraines often from my wisdom teeth shifting. And with being pregnant, I knew I didn’t want to take anything too strong for it. This was so helpful, and was surprisingly not gross tasting at all! Thankful to have it on hand because I will definitely be using it after birth. I bought this originally to help with the occasional headache, which I do use it for; but I was really impressed by its help with other pains and inflammation. My cousin was over and he was complaining of severe tooth pain. He already had an appointment to have his tooth removed and the Dr. gave him Norco (yuck!) to help with the pain for the few days before the extraction. He had already taken the Norco and his pain was still at an 8+. I had told my husband to give him some “Teeth Tamer” (one of my FAVORITE Earthley products) but he grabbed “Pain Potion” instead. My cousin said this is a miracle elixir and that it brought his pain down to a 4! He didn’t even need to use anything else for the pain after he tried this. We tried this product for my daughter’s headaches, and we’re so happy that it works! She can get them at least weekly and the pain potion stopped then in there tracks each time. So much better than trying multiple supplements like we usually do, and especially better than ibuprofen and it’s side effects! A week or so ago my back was hurt and I was totally laid up with the pain, I finally remembered we had this, and I was able to be on my feet all day at work!! So happy we found this quick, affordable and easy solution! Bought this for a co-worker to try who has had back and shoulder surgeries and just chronic pain in general. He reports that he has not taken any Tylenol and Aleve since starting it! He is going to the gym and able to do things he hasn’t before pain free! Amazing product!! Pain Potion works fast. OTC pain relievers take forever to work on me (45-60 minutes). Pain Potion works much faster (15-20 minutes). Finally convinced Hubby to try it. He was reluctant at first but now he asks for it. A major win for herbal remedies!! We make sure we keep a good supply in the house.